Google’s DoubleClick for Publishers (dfp) is a very powerful tool that lets you manage your native advertising on your website. Cinegif’s FIG format work great in dfp and adds a premium content option for publishers looking to generate more advertising dollars. Customers using a FIG to replace boring still image advertising are seeing as much as a 500% increase in CTRs. Here is a step-by-step process showing how to use a FIG in dfp. We will use a FIG ad created for Kraft Philadelphia Cream Cheese as our example. The first step in dfp is to create an ad unit. 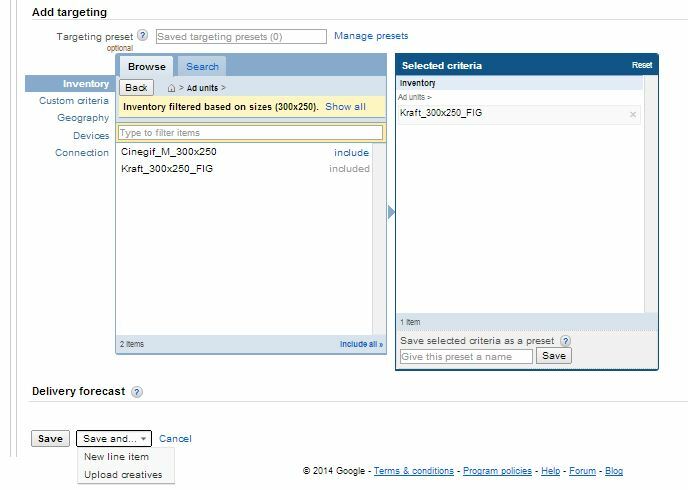 To create an ad unit, log in and click the Inventory tab. Next, click the + New ad unit button and complete the requested information including the Fixed size. In the case of our Kraft ad, we are using 300×250 (medium rectangle). Under Target window select “_blank” so when the ad is clicked it will open the landing page in a new window. Click Save at the bottom to move on to the next step. 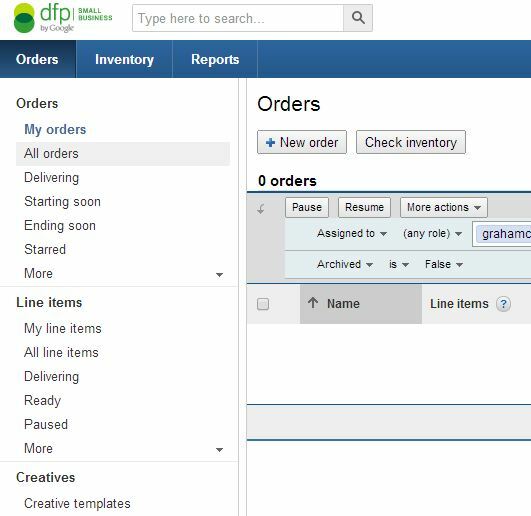 Create an order by clicking on the Orders tab and then clicking the +New order button. This brings up New order detail page. Complete the information as requested. 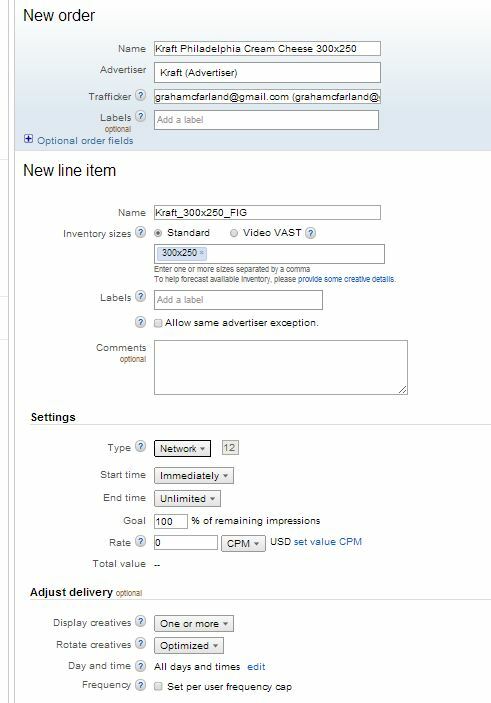 Under New line item it is suggested that you exactly match the name with the name of the ad unit in Step 1 to avoid any confusion as you ad more inventory. Under Type select the best setting for your business and your ad. Set the Start and End time as well as other settings specific to this ad and advertiser. For the Kraft ad we chose Network for Type and set the Start time for Immediate with an Unlimited End time. We left the Adjust delivery items to their default settings. There are a few more items still needed to finish creating an Order. 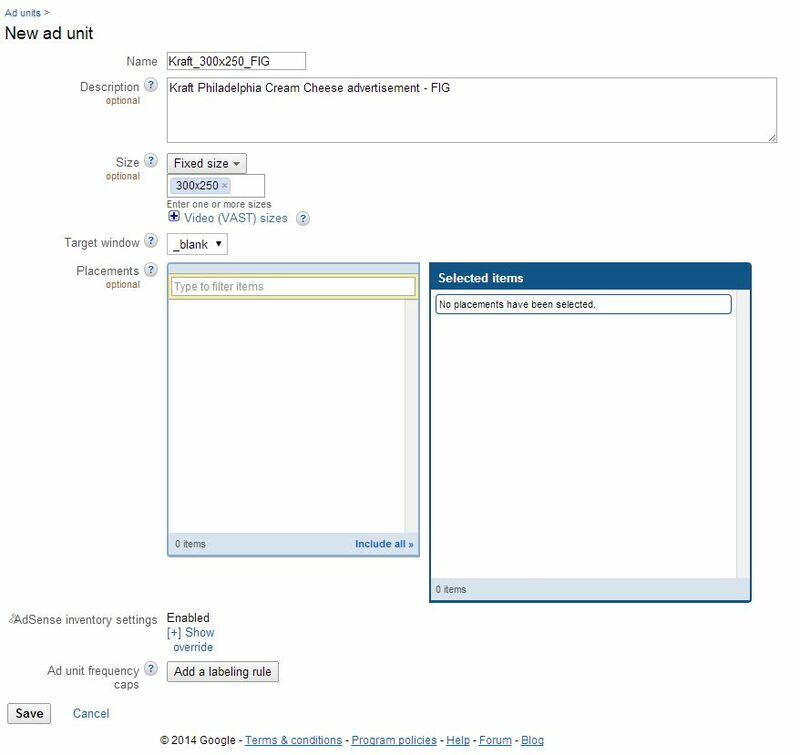 Select the Ad unit that you created in Step 1. 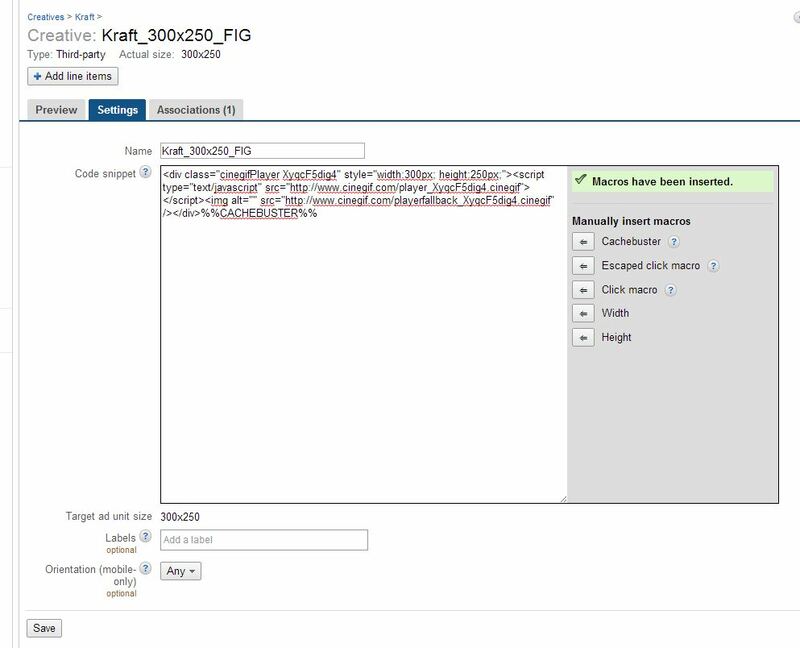 For our example we select the Kraft_300x250_FIG and click “include.” This ads the Kraft Ad unit to our Order. You can have multiple Ad units (of the same size) here if you would like them to rotate per your instructions. 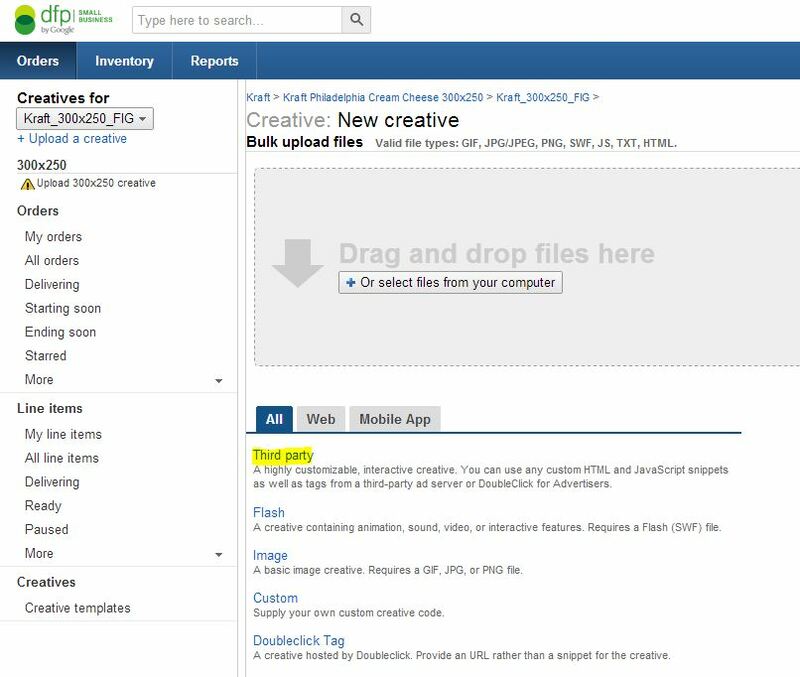 Once you are done, click Save and Upload creatives. This will lead you to the next to last step in the process. Now you are ready to Upload the creative for your ad. Under the options, you want to select Third party. 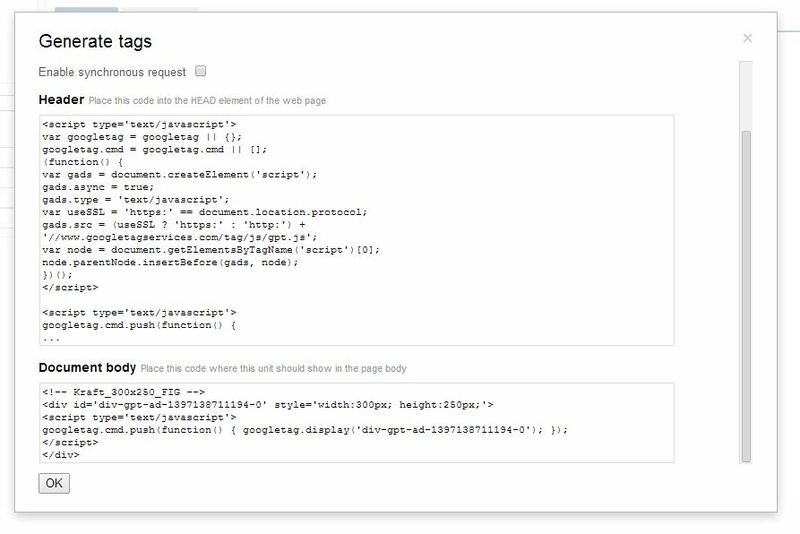 Next your ready to insert your FIG embed code (tags) from your Cinegif Gallery into the Third party creative Code snippet on dfp. Simply copy from Cinegif and paste into dfp. Manually insert any macros at the end of the FIG tag by clicking on the corresponding arrow. We recommend using at least the Cachebuster macro. The other macros are not necessary because the FIG will be providing detailed analytics for views, click and hovers. In the Kraft example we insert the Cachebuster macro at the end of the Cinegif FIG tag. Click Save and you are ready to Approve and Preview your ad. The next screen will ask you to approve the Order and Preview it. Click Preview: New window to see your ad to make sure all looks good. Once you are happy with your ad, click Approve and you are ready to generate the dfp tags to insert into your web page. 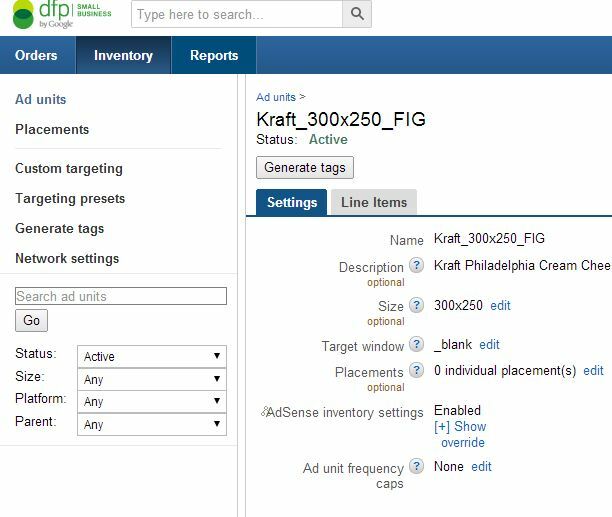 To generate the dfp tags, click on the Inventory tab and select the Ad unit that you need. In our case we click on the Kraft_300x250_FIG. That brings up the Ad unit detail and the Generate tags button. Click on the Generate tags button and the tags screen will appear. 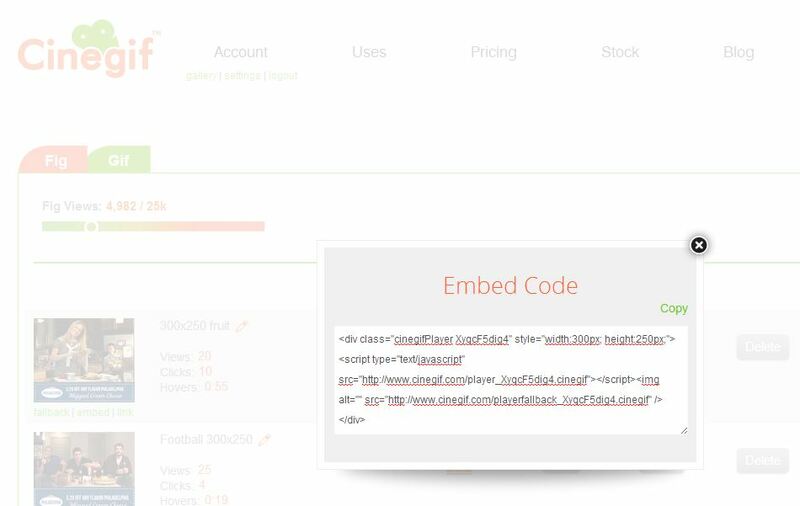 Copy and paste the Header tags into your website page header and the Document body tags where you want your ad to be placed on your website page. It is recommended to select only Enable single request to minimize the load time. You can now see you as ad live on your website! This is just one of the many ways to use Cinegif to market and promote your business. Learn more at http://www.cinegif.com or call us at +1.512.831.3645. Yahoo! announced this week that it is now offering advertising support for Flex Media. Yahoo! is providing brands the opportunity to combine beautiful images with elegant animation, creating a very powerful form of brand storytelling. And when brands have a flexible canvas to design beautiful ads, Yahoo! sees experiences that engage our readers more and ultimately drive higher results for advertisers. New ad format combines beautiful imagery and subtle animation for brand storytelling. The Cinegif platform is the perfect place to create and deploy Flex Media such as Motion Ads on Yahoo!. Kraft is the first brand to take advantage of this new feature, showing off a steaming grilled cheese sandwich that is sure to awaken the taste buds. The above image is a perfect example of the power of Flex Media; constant motion + emotion = attention. Kraft Cheese is proud to partner with Yahoo on the brand new Kraft Singles Motion Ad. We are always looking for opportunities to engage our consumers in unique and innovative ways that deliver our news – Kraft Singles are now made with no artificial preservatives. Yahoo brought forward a great executional idea and we are excited to be the first brand to launch it,” said Brian Gelb, Senior Associate Brand Manager, Kraft Cheese. Kudos to Yahoo! and Kraft for jumping on the Flex Media band wagon to improve the advertising experience for all of us. We at Cinegif are bringing this technology to all brands regardless of size. Starting at $29/mo. you can easily create your own Flex Media to deploy in motions ads, email campaigns, website design, e-commerce displays and social media. Sign-up for a free trial today at www.cinegif.com.